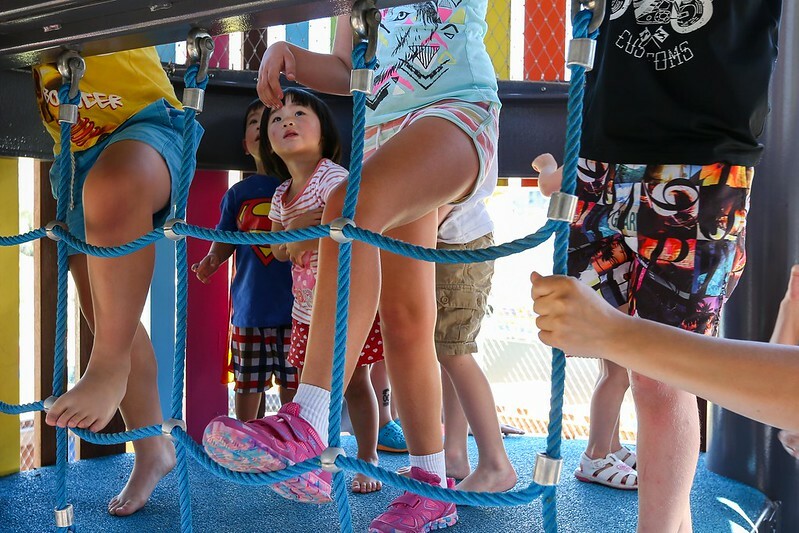 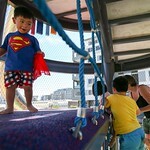 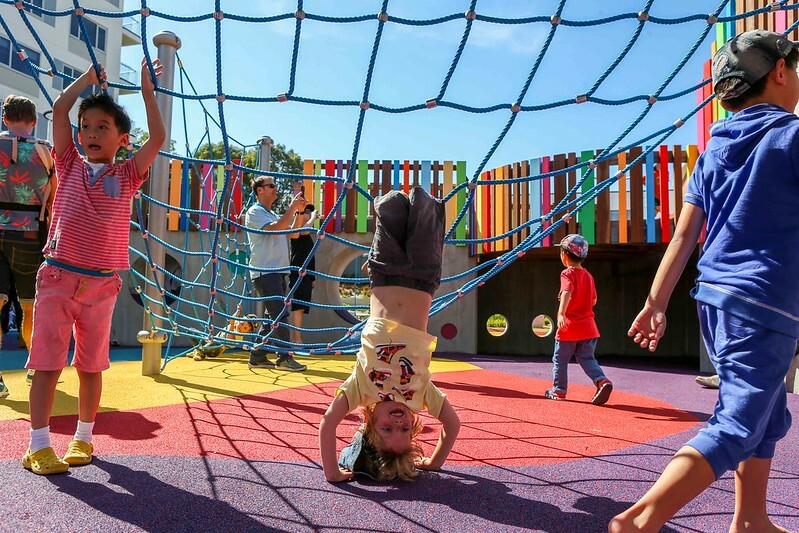 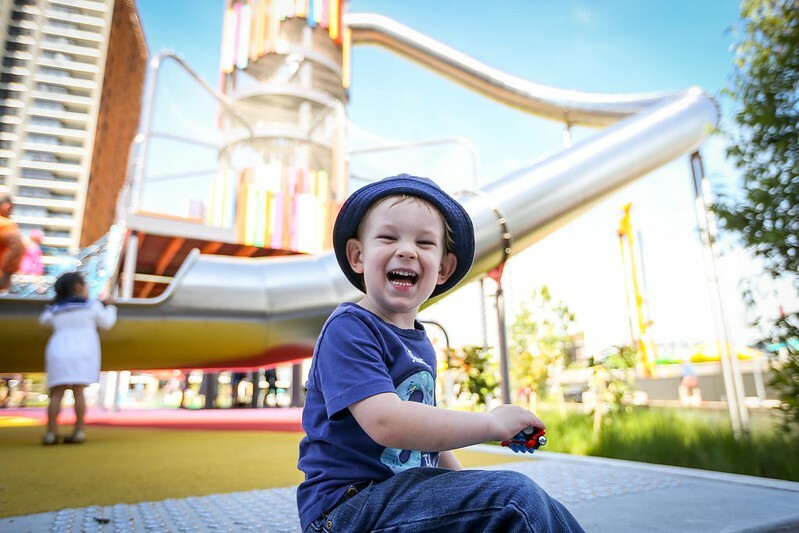 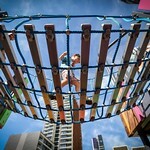 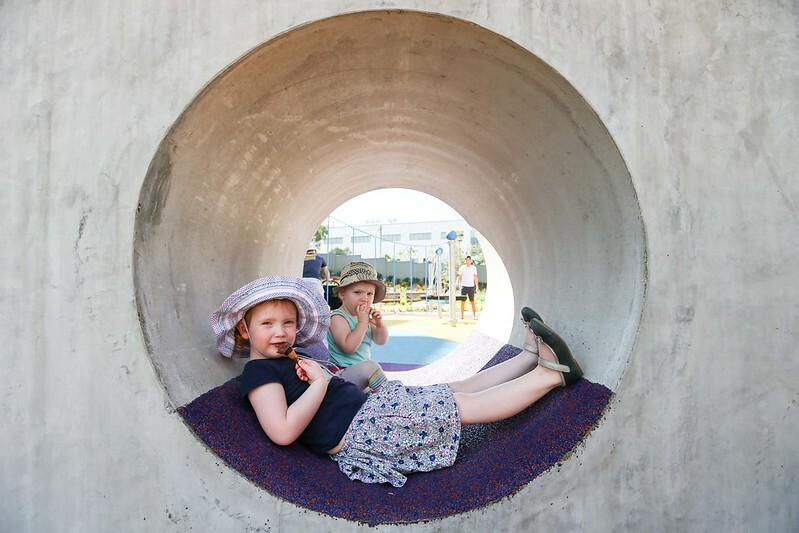 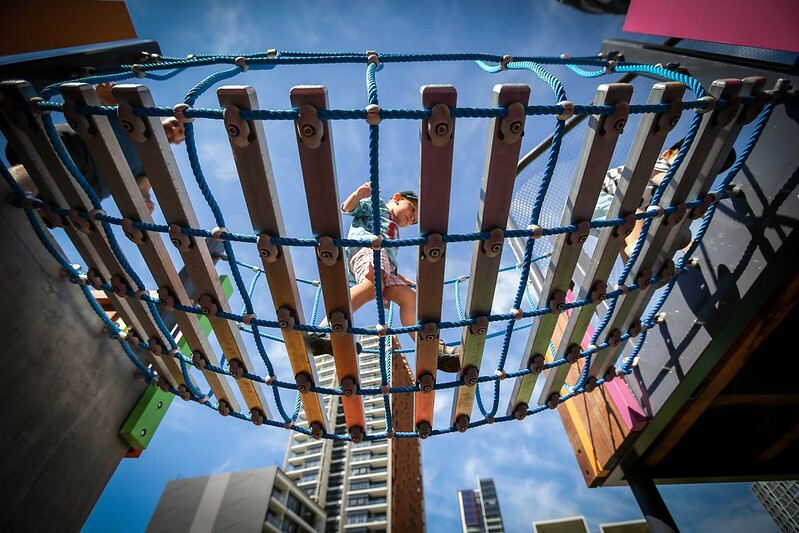 An exciting adventure playground featuring a giant slide, climbing tower, tunnels, nets and swings is the centrepiece of this child-friendly park. 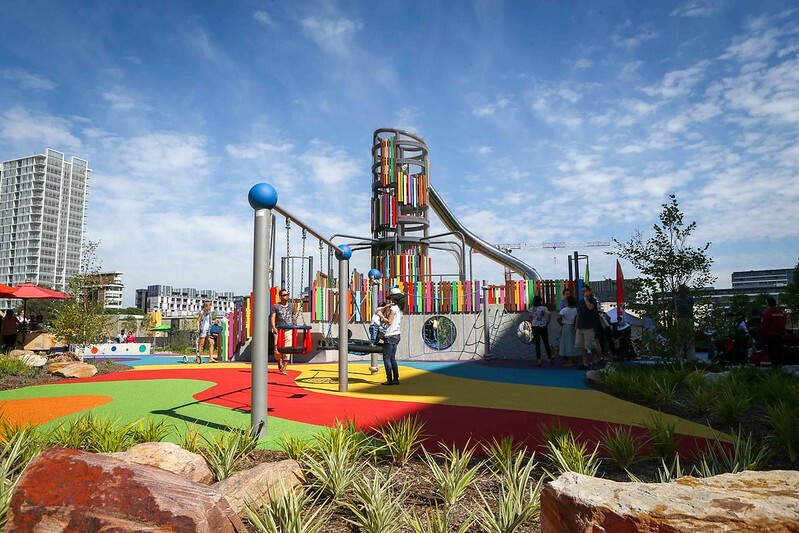 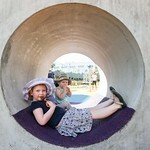 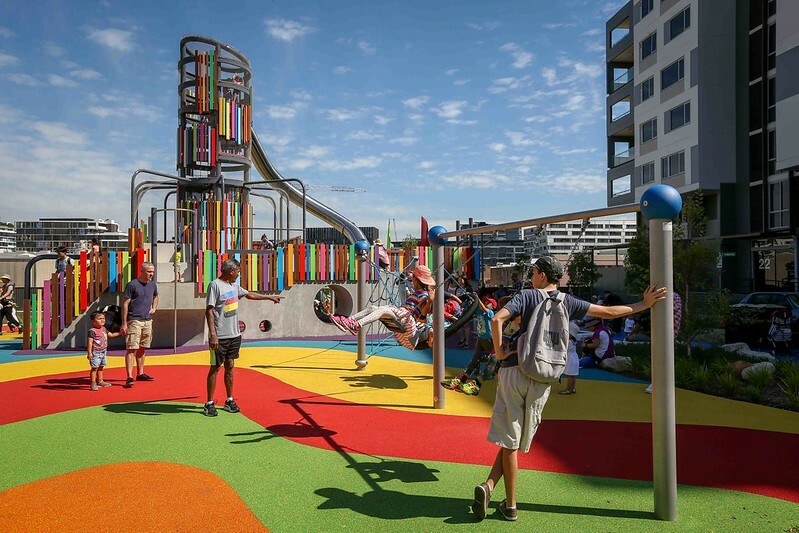 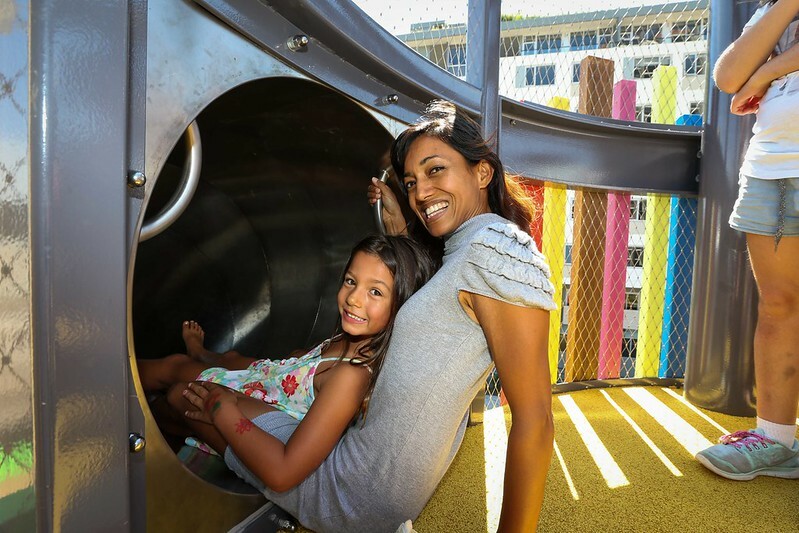 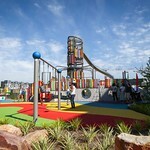 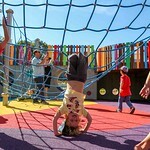 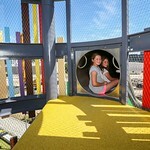 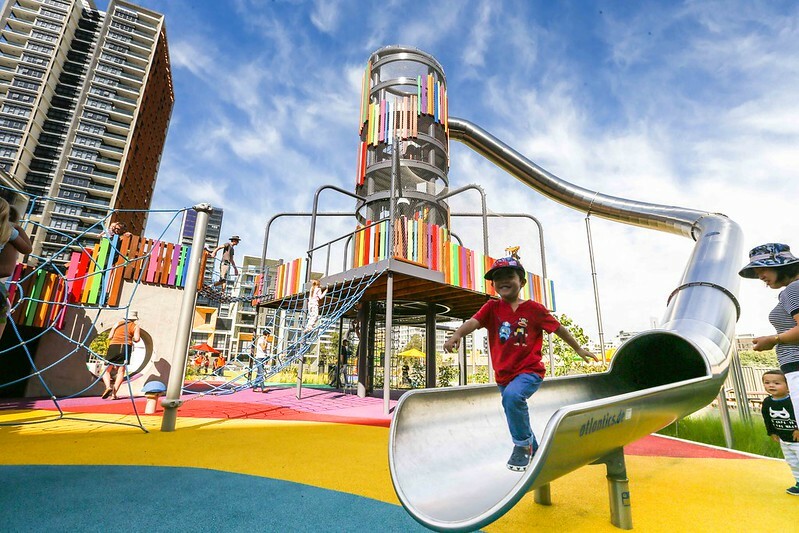 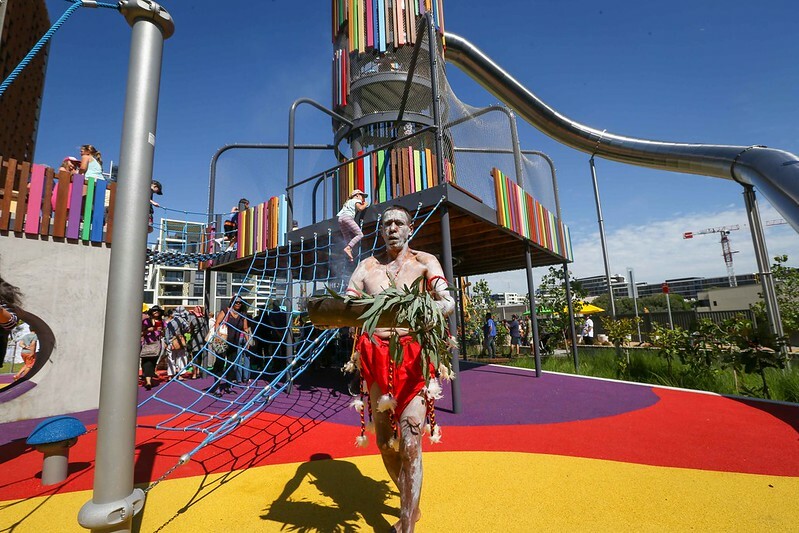 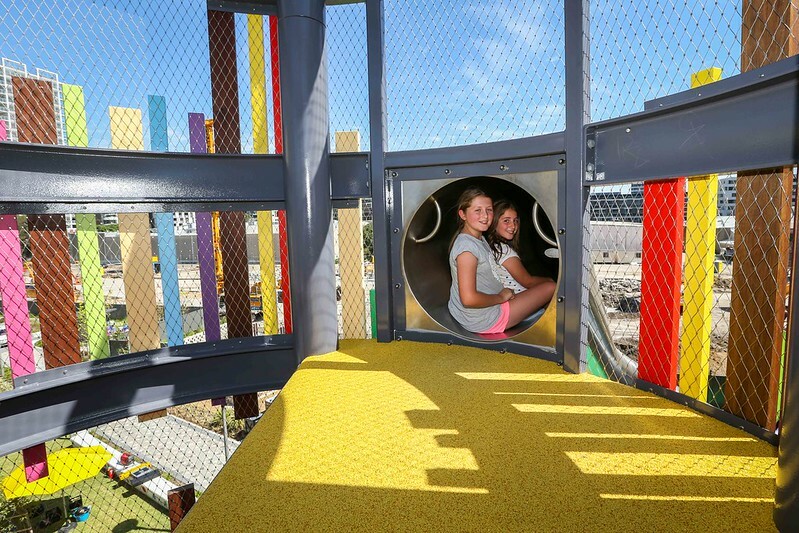 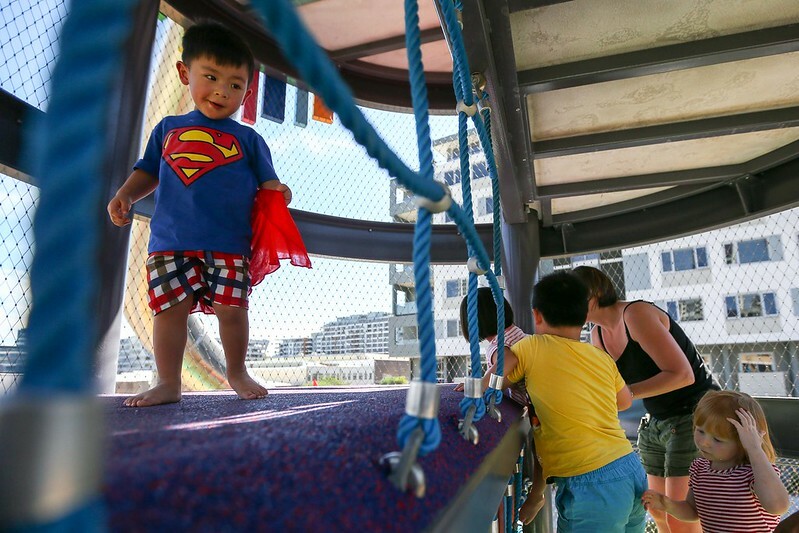 Sydney artist Nuha Saad worked closely with the landscape architects to design the playground’s colourful equipment and soft-surface floors. 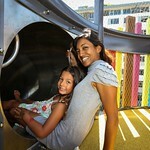 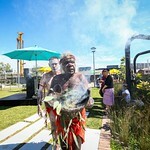 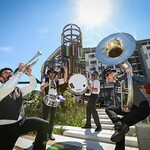 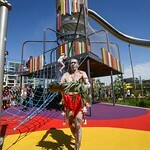 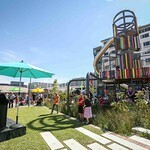 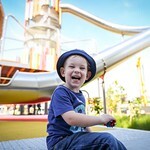 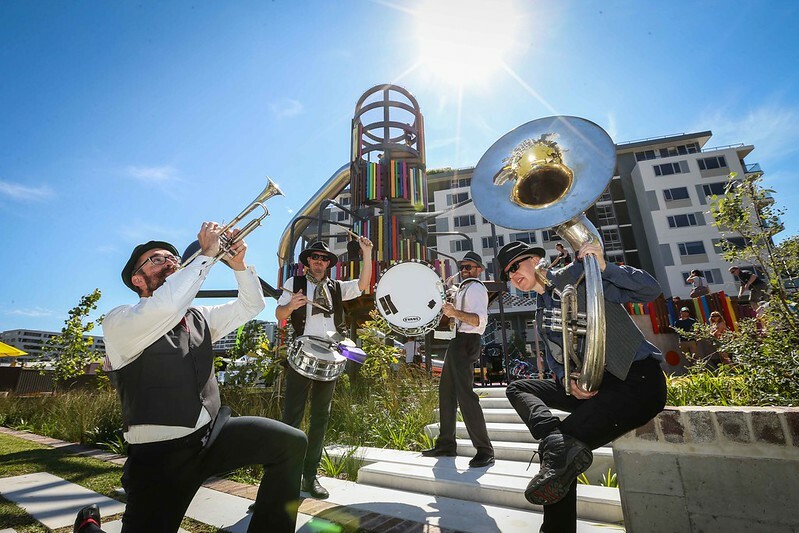 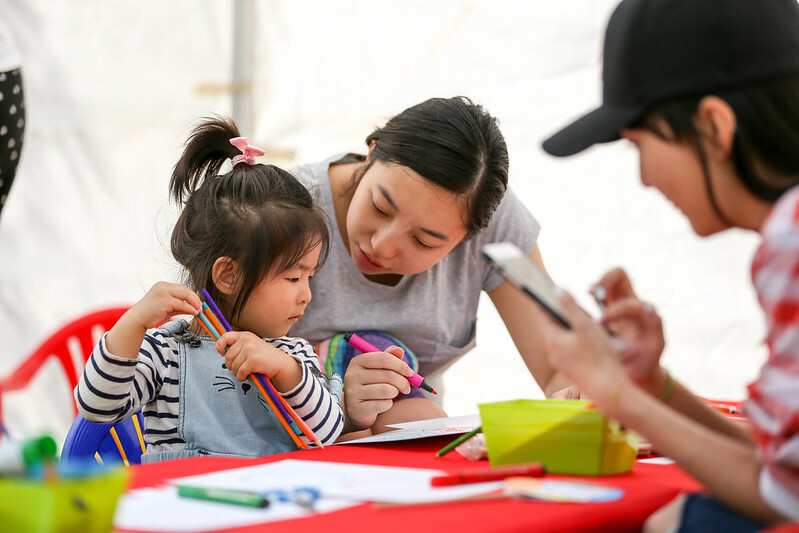 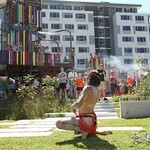 The park on Amelia Street near the corner of O'Dea Avenue in Waterloo covers more than 4,000sqm of outdoor space. 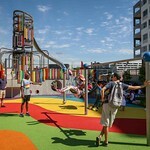 It includes a landscaped picnic and barbecue area, bike racks, and handball and table tennis courts. 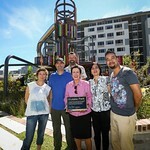 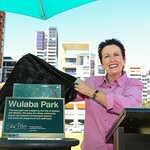 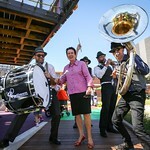 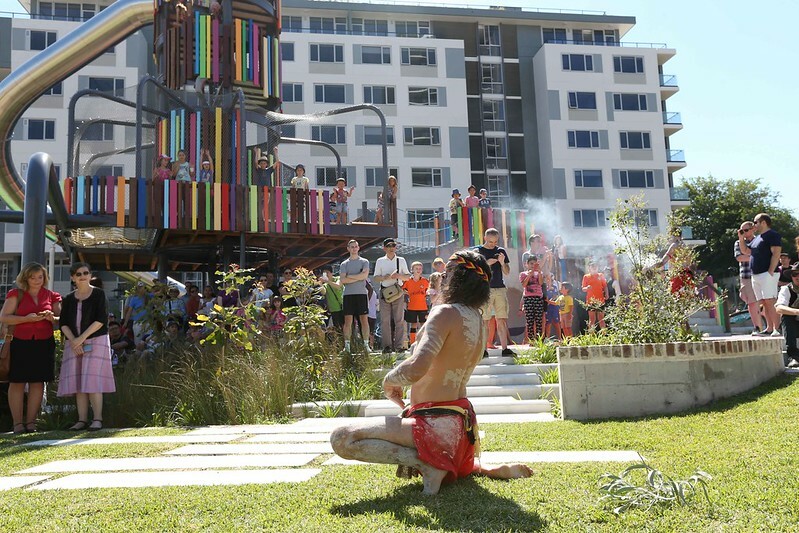 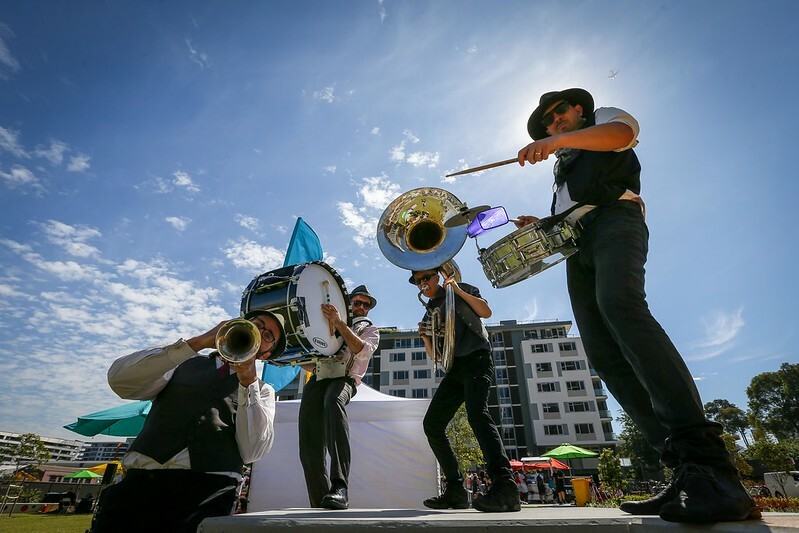 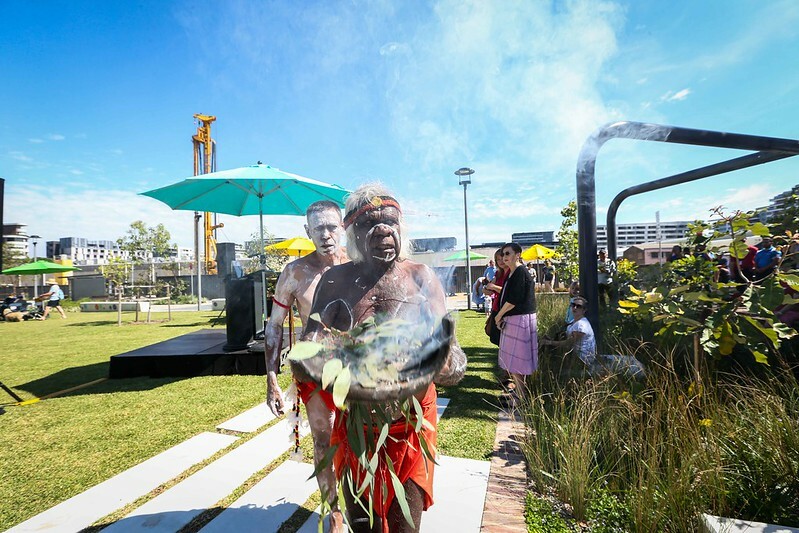 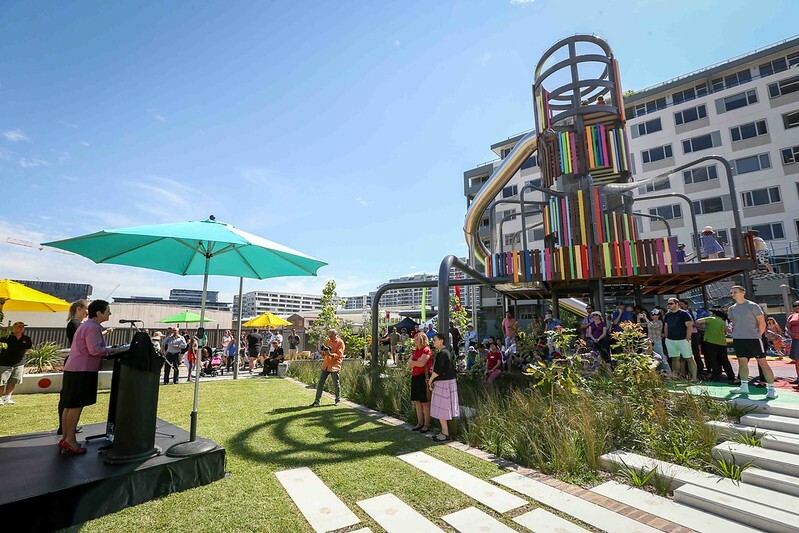 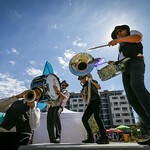 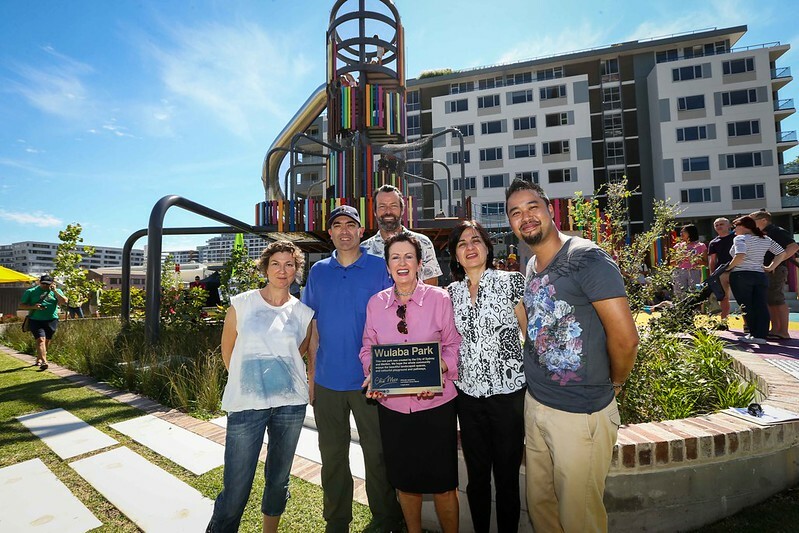 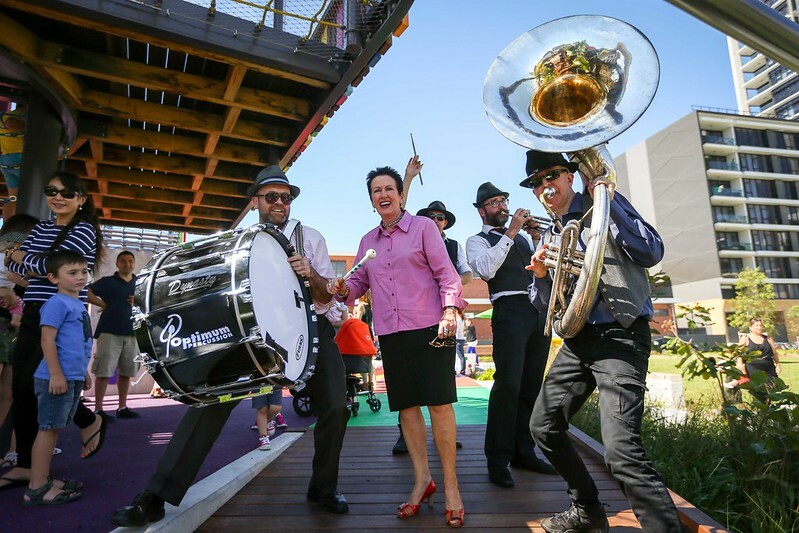 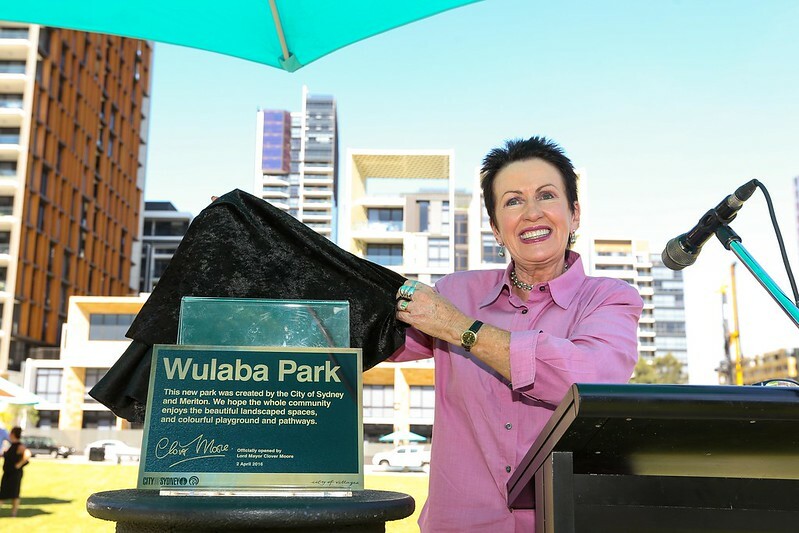 Lord Mayor Clover Moore officially opened the park on Saturday 2 April 2016.